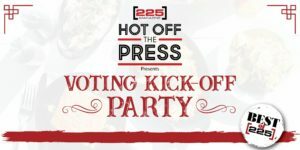 Join the Baton Rouge community on February 27 as they cast their vote at BRQ “Seafood and BBQ” for the 2019 BEST OF ! This event includes passed appetizers, as well as all you can eat and drink tickets for purchase. Come and enjoy the party! Get your tickets today on Eventbrite. Mestizo’s Louisiana Mexican Cuisine is celebrating their 20th Anniversary this year at their newly expanded location on Acadian thruway! Twenty years is a BIG milestone in business and to celebrate they are partnering up with Taste of  to make this party one to remember! 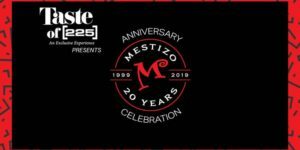 We are going back to the days the doors first opened at Mestizo’s, so get ready to party like its 1999! Join us on Thursday, March 14th from 5:30 to 8:30 for the big celebration that will include a live DJ, plenty of food and lots of giveaways… from gift cards and gallons of margaritas to dinners for two and a fajita bar for 20. The event is free but special VIP tickets are available for purchase. This ticket includes a tequila tasting experience of over 20 different types of tequilas along with a private nacho bar in the newly renovated private dining area. Come and enjoy the party as we celebrate a Baton Rouge favorite making the milestone of 20 years in our Capital City!